A fortified town (burh) was first established at Warwick by Aethelflaed, widow of King Ethelred, in 914-6. The town was fortified against the threat of Danish invasions. At the time of Domesday, 1086, the only towns in what is now the county of Warwickshire were Warwick, Tamworth and Coventry. 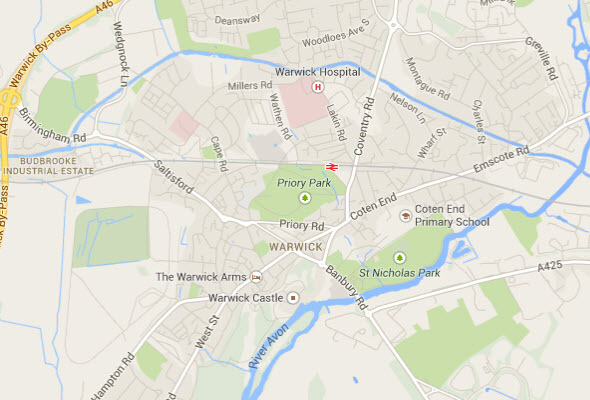 Warwick had a population of around 1800. Warwick Castle was built by William the Conqueror in 1068 and was used as a fortification until the early 17th century, when Sir Fulke Greville converted it to a country house. It was owned by the Greville family, who became earls of Warwick in 1759, until 1978.From 1088, the castle traditionally belonged to the Earl of Warwick, and it served as a symbol of his power. The castle was taken in 1153 by Henry of Anjou, later King Henry II. It has been used to hold prisoners, including some from the Battle of Poitiers in the 14th century. 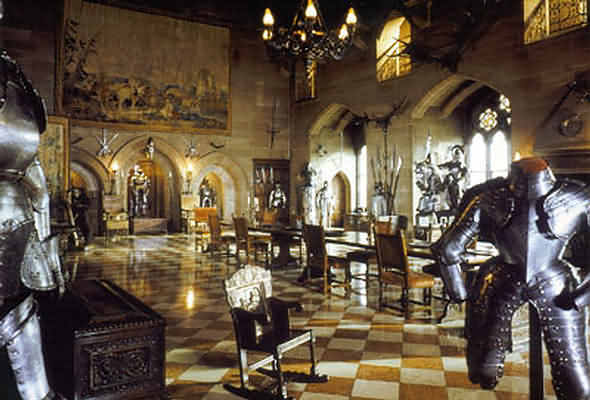 Under the ownership of Richard Neville – also known as "Warwick the Kingmaker" – Warwick Castle was used in the 15th century to imprison the English king, Edward IV. Warwick Castle has been compared with Windsor Castle in terms of scale, cost, and status. Since its construction in the 11th century, the castle has undergone structural changes with additions of towers and redesigned residential buildings. Originally a wooden motte-and-bailey, it was rebuilt in stone in the 12th century. During the Hundred Years War, the facade opposite the town was refortified, resulting in one of the most recognisable examples of 14th century military architecture. In the 17th century the grounds were turned into a garden. 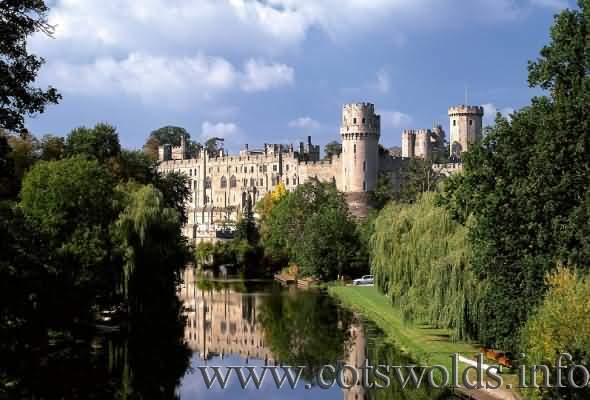 Warwick Castle was purchased by The Tussauds Group in 1978 and opened as a major tourist attraction. It is protected as a Scheduled Ancient Monument and a Grade I listed building. The bloody history of Warwick Castle is steeped in treachery, murder, mystery and intrigue. 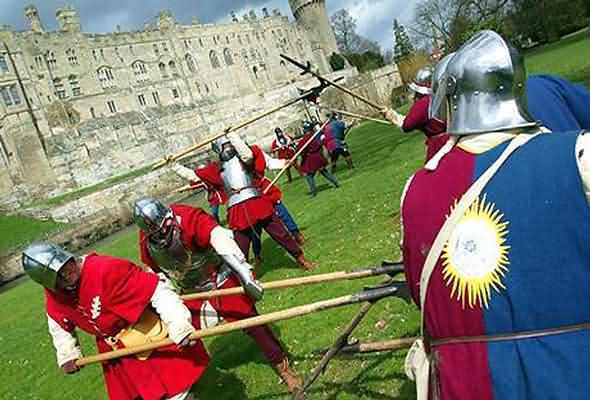 Famous historical figures and events feature in the history of Warwick Castle including William the Conqueror, the Wars of the Roses, John Dudley, Lady Jane Grey, the Civil War and the Age of Chivalry with Knights and tournaments. Visitors should allow a full day for a visit to the castle because of the many activities on offer. The Castle Dungeons Experience - Warwick Castle has witnessed some of the darkest, bloodiest and most frightening times in history. This new experience is set to echo part of the Castle's past, taking you back to 1345, when the town was gripped by the plague. In true Dungeon style, gore seekers will be greeted by decaying bodies, chanting monks, torture implements, execution and ‘the labyrinth of lost souls’ - a fantastic scary mirror maze. Warwick Castle truly brings history to life! There are limited Dungeons tickets available, and advance tickets are only available from Warwick-Castle.com. Book online to guarantee your entry. Warwick Castle has a full programme of activities every day throughout the summer including jousting, archery, falconry and combat shows daily. 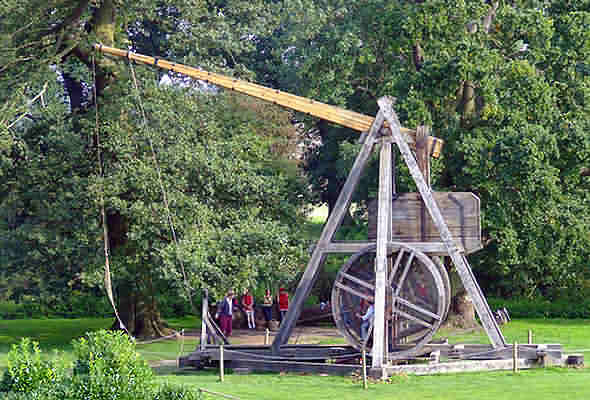 See not one but two mediaeval machines of war as the Trebuchet will once again be shooting twice daily and new for 2009 we have the Ballista which will be situated next to the Castle ditch, as many would have done in ancient times. The colossal catapult is an authentic recreation of one of the biggest and most deadly military machines of all time. You can also marvel at the ancient art of falconry at the Flight of the Eagles show. Featuring some of the biggest birds in the UK, this show is something not to miss. As if all this isn’t enough the Warwick Bowman will once again take up residency at Warwick Castle, telling tales of battle and demonstrating the art of archery. There will also be the Cook’s Tent and the Mediaeval camp to enjoy and our resident Knight and Princess will be walking the Castle grounds.